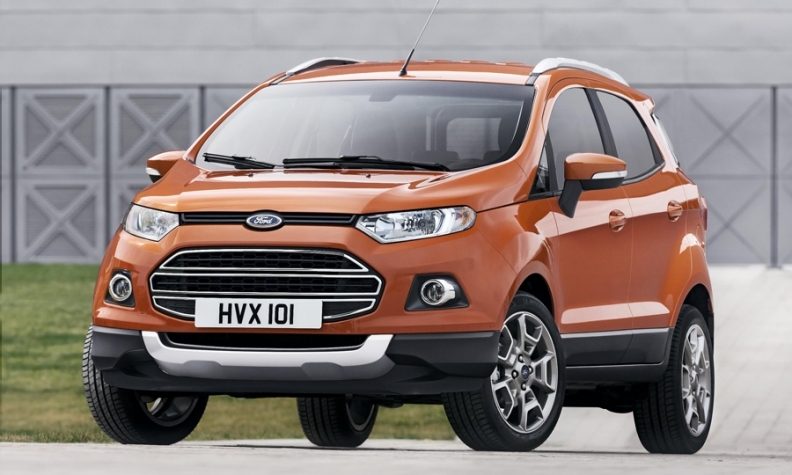 The EcoSport, pictured, is a key part of Ford's strategy to grow its market share in Europe. Ford of Europe says it's on track to turn a profit again by 2015 after years of heavy losses. 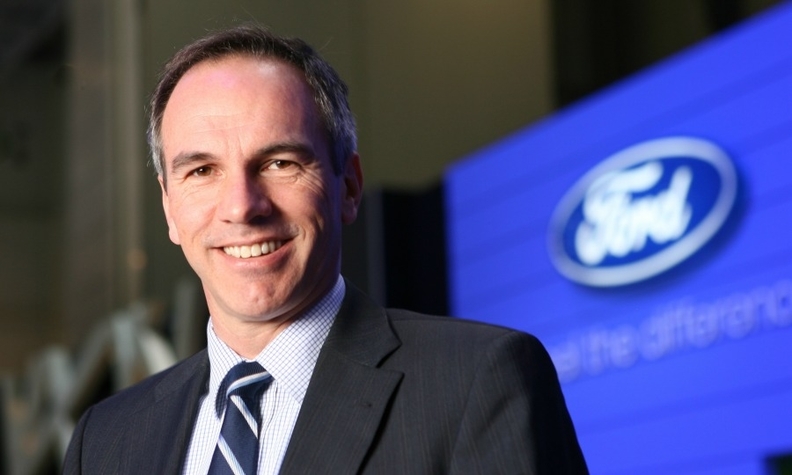 A key to the turnaround is the automaker's fast-growing lineup of SUVs, which Ford of Europe sales boss Roelant de Waard expects to earn strong margins. He discussed Ford's plans during a recent interview with Automotive News Europe Correspondent Nick Gibbs. Ford Motor sales boss Jim Farley talked about tripling SUV sales in Europe by 2018. You sell about 100,000 Kugas a year now, so does that mean 300,000 SUVs by then? You wouldn't be very wrong if we assumed that was the number we're talking about. What does Ford expect to gain from its rapid SUV expansion? There are three important reasons. First, if you want to be a significant player in the market, you need to be in all the key sectors. Since SUVs are growing, that's where we want to be. Secondly, I believe Ford is a very credible SUV brand so it's a natural territory. It's important to have vehicles that are more aspirational, more emotional. And lastly, it is revenue. To make money you want to play both in the volume segments, which may be less profitable, and in the more premium segments, where the margins are. Main Challenge: Making sure Ford's aggressive push into Europe's high-margin SUV segments is a success. And SUVs are more premium? We're talking vehicles that are 40,000 euros and above. That is definitely a more premium price point than the average [in Europe], which is slightly below 20,000 euros. Will the EcoSport challenge the Nissan Juke, Peugeot 2008 and Renault Captur in Europe's hot subcompact SUV segment? This is the fastest-growing sector in the industry and EcoSport is very competitive. For an urban user who wants a subcompact but still wants to carry a lot of stuff it's a unique car. Can it top the forecast volumes of its French rivals? If the market stays very concentrated around France, where the French makers have a 50 percent share, then they will have the benefit. If that market spreads over Europe, then we will have a big opportunity. Will the Edge be a brand builder when it arrives in 2015? Absolutely. That's why we see the entire SUV segment growing. When will Europe's recovery begin? We believe the market has bottomed out and there will be a gradual increase from now on. November was the first month in a long time when every market was slightly up. I can't say volumes were necessarily encouraging, but when everything goes up a little bit there's a trend. Is there still a discounting war going on in Europe and is it affecting your efforts to return to profitability? Let's just say it's absolutely the best time to buy a car. Once the difficult decisions to close factories by the various manufacturers are executed, I think you'll start to see a healthy price level. Is Ford's aim to return to profitability in 2015 dependent on an overall rise in European new-car sales? Obviously it's heavily influenced by it. We're not giving guidance on what the profit will be, that's hard to predict, but what we're confident enough about is to declare that we will be profitable again. Where does Ford want to be by 2018? We haven't given any predictions. Overall, we believe that it will be a slow recovery, but we don't expect the market to come back to the 18 million [passenger cars and LCVs] it was at the height in 2007. About 16.8 million is a number that could be possible. B-Max production in Romania was been stopped multiple times last year. Has demand for the car been below expectations? The B-Max is the No. 1 car in its segment for retail share. But the overall industry is not what we want in Europe and there is new competition for that segment from B-SUVs. [Ford CEO] Alan Mulally has told us to be totally realistic about the market. If a segment declines, we immediately take the necessary action. Is there a danger the small minivan segment might not come back? Even you are going to be poaching customers with EcoSport. It's a very different customer. Over the years I've not seen any segment disappear. I've only seen further proliferation. Will there be any changes for the 2015 Mondeo compared with its U.S. sister model, the Fusion? Just the diesels. And because of the nature of the competition in Europe with BMW and Audi and the like, we will add the Vignale [high-end trim line] very shortly after the launch. Today more than half our sales in that segment are the highest specification level.